Dr. Harri Holma, Principal Engineer at Nokia Siemens Networks, Finland. Antti Toskala, Head of 3GPP Radio Standardization, Nokia Siemens Networks, Finland. Harri Holma and Antti Toskala both work on cutting edge technologies for mobile communications today. 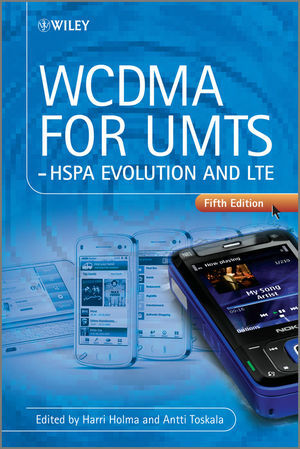 They co-edited the books LTE for UMTS - OFDMA and SC-FDMA Based Radio Access, HSDPA/HSUPA for UMTS: High Speed Radio Access for Mobile Communications and WCDMA for UMTS, 4th edition.